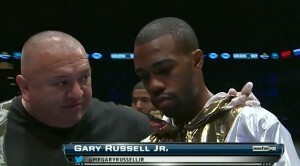 2011 hasn’t been a great year for Puerto Rican boxing. While faded boricua figurehead, Miguel Cotto, stopped Ricardo Mayorga in March, not even the fiercest of Cotto loyalists would argue that it was anything other than a trophy win from a critically weathered fighter. Cotto is far removed from being the fighter who once cut a violent swath through the ranks of contenders and pretenders to his throne. Even at the young age of 30, Cotto reeks of damaged goods and has been on a steep decline since being brutally bludgeoned and forced to submit at the hands of Antonio Margarito in July of 2008. Now, the heir to the Boricua legacy of Felix Trinidad and Wilfredo Gomez is a well-protected paper champion at the artificially high weight of 154, sitting on one last major pay day against another damaged goods warrior, former conqueror, Margarito. Behind Cotto, the previously well-regarded crew of young Puerto Rican talent has been knocked around, thrown off course, and forced to regroup. 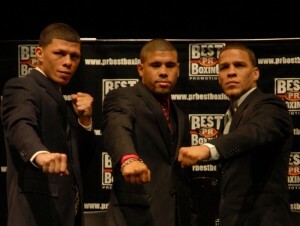 For the last several years, featherweight Juan Manuel Lopez was pegged as the next face of the Isla del Encanto. “Juanma” was charismatic, heavy-handed, and, most importantly, eager to deliver entertaining action fights to his fight-hungry fan base. But as Lopez’s fame grew, his dedication to the actual fight game began to diminish. 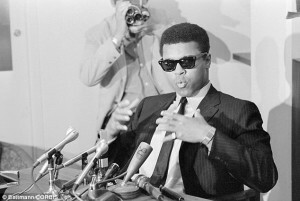 Partying began to replace training and an ever-growing list of hangers-on began to take the place of quality boxing people. After surviving several close calls against fighters who should’ve been little more than marginal tests for the WBO featherweight titlist, Juanma finally met a seasoned pro in Mexico’s Orlando Salido, who succeeded in pushing him over the cliff on which he had been teetering since narrowly escaping defeat against journeyman, Rogers Mtagwa in 2009. To make matters worse, Lopez’s stoppage loss to Salido was sandwiched between two other upsets of next generation Puerto Rican stars. In September of 2010, Roman “Rocky” Martinez lost his WBO super featherweight title as well as his Top 5 boricua status when he was outworked by crude, but energized Scottish brawler, Ricky Burns. 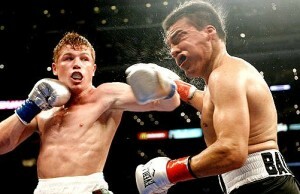 One month after the Juanma Lopez loss, well-regarded second-generation 122 lb. titlist, Wilfredo Vazquez Jr., also succumbed to a less-talented, but hungrier rival when he was stopped in the twelfth round by Jorge “El Travieso” Arce on the Manny Pacquiao-Shane Mosley undercard. 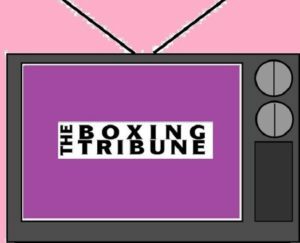 Add future Hall of Famer, Ivan Calderon’s second straight stoppage loss to Giovani Segura and the chronic woes of Kermit Cintron to the mix, and Puerto Rican fight fans haven’t had much to celebrate. This Saturday at the Coliseo Ruben Rodriguez in Bayamon, the boricua contingent looks to take the first step in a fistic comeback as Lopez, Martinez, and top junior featherweight contender, Jonathan Oquendo, share the bill in a pay per view event, named Triple Crown III. 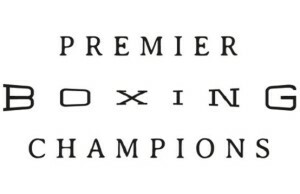 At the top of the card, Lopez (30-1, 27 KOs), in his first fight back after the Salido loss, will take on fringe contender, Mike Oliver (25-2, 8 KOs). In the co-feature, Martinez (24-1-1, 15 KOs), fighting for the first time since his loss to Burns over a year ago, takes on ESPN2 fodder and loser in four of his last six, Danniel Attah (26-7-1, 9 KOs). Oquendo (21-2, 14 KOs), bringing up the tail end of the “Triple Crown,” is set to take on Mexican club fighter, Jose Luis Araiza (29-4, 20 KOs) in a bout designated as a WBO junior featherweight eliminator. None of the bouts on the triple header from Bayamon can really be considered tough challenges or even stern tests– it’s the type of card to be expected when two of the three main attractions are in rebuilding mode and the third is easing his way into his first world title shot– but just the very fact that Lopez and Martinez are back in action can be seen as a step in the right direction. Outside of the three fighters featured on Saturday’s show, Vazquez Jr. is also tentatively scheduled to make his return in October against an opponent to be named. On the horizon, undefeated Miguel Cotto-promoted super featherweight, Luis Cruz has shown real promise as a future champ and Puerto Rican clone of the late Diego Corrales. 24-year-old, Luis Orlando Del Valle has also looked sharp, skilled, and nearly ready for a move up to the main stage of the sport. Talented boxer-puncher, Cesar Seda is a 20-something fighter with a real upside, despite a recent decision loss to Argentina’s veteran WBO super flyweight champ, Omar Andres Narvaez. Despite a horrible 18-month stretch of upset losses and underachieving performances, there’s actually cause for optimism when it comes to the boricua boxing scene. The Puerto Rican fans, always among the sport’s most avid and informed, deserve to be rewarded with quality fights and an overall return to prominence for their pugilistic heroes. The talent is there for a resurgence and the opportunities are plentiful. The only question remaining is whether the current crop of fighters can deliver the goods or whether the fans will have to wait for the next crop of warriors to assert themselves. But for a tiny island nation with a disproportionate amount of quality world champions in its past, there’s no doubt in their minds that they’ll work their way back to the top of the sport’s collective unconscious. It has to be so. Boxing is in their blood. Filed Under: Featured, News, Opinion Tagged With: Cesar Seda, Ivan Calderon, Jonathan Oquendo, Juan Manuel Lopez, Luis Cruz, Luis Orlando Del Valle, Miguel Cotto, Mike Oliver, Puerto Rican Boxing, Roman Martinez, Wilfredo Vazquez Jr.